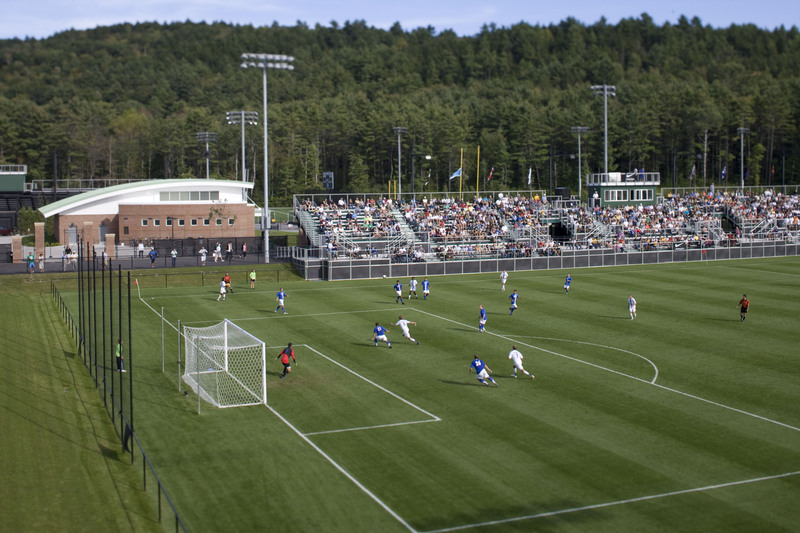 The Soccer Academies Residential Camp, located on the Dartmouth College campus in Hanover, NH. Each Session emphasizes player development in a challenging, stimulating environment. Our curriculum is designed for the serious soccer player looking to play at the next level. Technical and tactical aspects of the game are developed throughout each day through both small sided and 11v11 games. Goalkeeping specific sessions are also integrated within this curriculum and focus on all key areas of this position. Coach Oshoniyi and his staff will be involved as coaches in all camp sessions and activities. Additionally, our camp staff is made up of experienced coaches representing some of the finest colleges and universities around the country. This year we will have college coaches from Tufts University, Trinity College, Bates College, Colby-Sawyer College, Middlebury College, Penn State University, Williams College, Wesleyan College and more. Collegiate soccer players from programs all over New England serve as assistants for the week, and are involved in all demonstrations and information sessions. College recruiting is part of the camp, but it is only a part. While many players who attend have a genuine interest in Dartmouth, we hope that players who choose our camp are also looking to develop their game, and are eager to be around coaches and players with a true passion for soccer. This high level camp provides many excellent opportunities - you will be coached by an outstanding staff, develop as a soccer player, and you will be given an honest evaluation that you may use for your future development and/or in your college search. You will also have the opportunity to look at Dartmouth, spend time on and around the beautiful campus, and get to know the coaching staff and players.